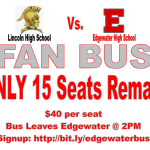 Eagles News · Nov 29 Pre-Sale Tickets for State Semifinals on GoFAN Before They SELL OUT! 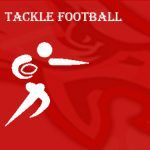 Eagles News · Nov 20 Fan Bus to Jacksonville – Sign-Up NOW! 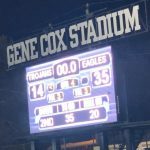 Eagles News · Nov 17 Edgewater wins in Lincoln! Edgewater pulls off the upset 35-14 over Lincoln. Edgewater will advance to play Lee High School in Jacksonville on Friday 11/23 at 7:30pm. The game tonight will be livestreamed Friday @ 7:30PM on http://qwikcut.com/ and also https://www.nfhsnetwork.com/events/lincoln-high-school-tallahassee-fl/gam7937d42c47 GO EAGLES!!!! !